The town square in Atenas, Costa Rica. Lorna Rasmussen wasn’t ready to retire yet, but she knew that she and her husband, George, couldn’t stay living in the U.S.
George’s daily commute in bumper-to-bumper traffic and the overall stress of politics and daily life in Atlanta were taking their toll on the couple. Although she had lived in the U.S. for 40 years, Lorna was ready to move back to her native Canada. The couple instead cast their sights south and chose Costa Rica for their new home. “We like Costa Rica because they are concerned about climate change, education, healthcare, and they don’t have a military. Those are things we like,” says George, who is originally from Akron, Ohio. They researched Costa Rica through International Living, and did their homework with short visits, finally moving to the small Central Valley town of Atenas in 2016. The couple like that Atenas is smaller than the other nearby Central Valley towns of Grecia and San Ramón. Its population is under 10,000 in the town center and expands to barely 28,000 in the entire county. They also appreciate being close to high-quality healthcare in the San José metropolitan area. It’s only a 30-minute drive from Atenas to the closest hospital. Lorna says that the thriving expat community in Atenas was also an important aspect for her. “I wanted an involved expat community because I like to be social and I knew I might not learn Spanish quickly,” says Lorna, who takes Spanish lessons twice a week at a local language school. She is now a member of a number of women’s organizations and has started a support group for expat women in Atenas who are still working. A former documentary film maker, motivational coach, and also the author of several books, including The Absolute Best Way for Women to Make Money, Lorna runs a network marketing business online. Called Legal Shield, it gives people access to legal services and identity theft protection in the U.S. and Canada. In addition, she frequently gives live webinars on her book. 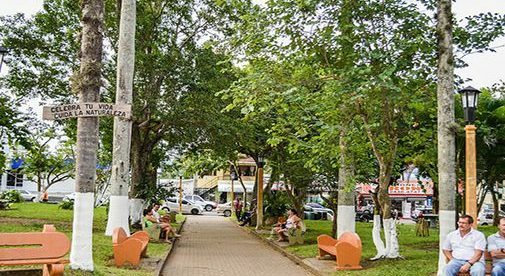 The couple’s location in a quiet neighborhood and high-speed internet from a private provider make it easy for her to seamlessly operate her business successfully from Costa Rica. George retired from his architectural practice when they moved to Costa Rica but keeps busy remodeling the house and property they bought in Atenas. Additionally, he is involved with a Costa Rican group that is developing a 16-day, 174-mile hiking trail that crosses Costa Rica from the Atlantic to the Pacific Coast called Camino de Costa Rica. He hiked the route in 2017 for the first time and plans to do it again this year. For Lorna, she said that working from Costa Rica doesn’t seem like work anymore. “I work now in a beautiful environment. When I look up from my computer, I have this incredible view,” she says, gesturing out her living room window at a panorama of mountains and valleys. “I get inspired by being here. I have created a life I really love, and I am happy being connected to people and doing something that allows me to help people.